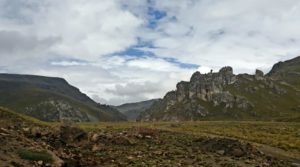 Miramont Resources Corp. [MONT-CSE] lost more of its equity value Friday March 29 as investors continued to react to a drilling update from the company’s Cerro Hermoso Project, located in the Puno Region of southern Peru. In a March 28, 2019 press release, the company said it has completed 3,679 metres in nine diamond drill holes, adding that assays have been received for six of the nine holes. “Although drilling has confirmed the basic geologic model that Miramont had developed for this district, significant mineralized drill intercepts thus far appear intermittent and discontinuous,” the company said. Investors responded Friday by sending the shares down 21.9% or $0.035 to 12.5 cents on volume of 2.54 million. At current levels, the shares have plunged from 47 cents on March 27, 2019, the day before the drilling update from Cerro Hermoso was released. The shares are currently trading in a 52-week range of 63 cents and 12 cents. Miramont is led by President and CEO Bill Pincus, a geologist with extensive experience in Peru. He was involved in the formation of Esperanza Resources Corp. in 2002, a company that was eventually swallowed by Alamos Gold Inc. [AGI-TSX, NYSE] in July, 2013. The transaction valued Esperanza’s equity at $69.4 million. Miramont Chairman Quinto Hennigh is an economic geologist with 25 years of exploration experience. He is currently President and Chairman of Novo Resources Corp. [NVO-TSXV; NSRPF-OTCQX]. The Cerro Hermoso property consists of three mining concessions, covering 1,318 hectares. Miramont has an option to acquire a 100% interest in the concessions by making property payments of up to US$3.7 million through to September, 2022. Miramont has said the property is centred around a large, 1.4-km-diameter Cerro Hermoso diatreme, which hosts extensive mineralization. The company said three priority targets have been selected for further exploration and initial drilling. They included the Central Breccia Zone at the heart of the diatreme, the Stockwork Zone, which lies outside the northern rim of the diatreme, and the Carbonate Replacement Zone, which is known from a review of investigations carried out by previous operators of the Santa Barbara mine. At the Central Breccia Zone, the company said historic channel sampling in the central breccia returned 43 metres averaging 1.8 g/t gold. Selective sampling by Miramont has previously confirmed the channel sample results and expanded the Central Breccia Zone. The company said the high value for gold is 18.4 g/t, while 87 of 178 samples collected were greater than 0.1 g/t. In the March 28, 2019 press release, the company said drilling was planned to test three principal targets of the five currently identified. Highlights included 14.75 ppm gold and 110 ppm silver. Significant base metal values were also encountered, including 0.105% copper and 4.26% lead. “We are satisfied that we have confirmed our basic deposit model,” Pincus said. “Our understanding of the three-dimensional nature of this mineralized system has expanded with this program, but this far, mineralized intercepts have proven to be discontinuous,” he said.